Our HTML to PDF API is a professional service for HTML to PDF conversion. 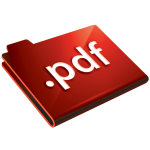 It allows you to create high-quality PDF documents quickly, efficiently and cost-effectively. Use it to create high-quality invoices, reports, tickets, e-books, brochures and much more!